Journalist and editor Tarik Kemper is currently writing his Master thesis on the newest wave of Turkish migrants arriving in Germany. A German and a Turk himself, Tarik spoke to Vanessa Ellingham about being able to be BOTH, and why this election is so important. Tarik on the right, with his colleague Matze Kasper. Can you tell us about where you grew up? I grew up in Berlin, in Neukölln, a place that has changed a lot. I would say I grew up between Neukölln and Kreuzberg. I moved to Leipzig for university and I have spent long periods abroad to study or work in Turkey, Portugal or the US. But I always came back to Berlin and so far never lived anywhere else than in Neukölln when I’ve been in Berlin. I remember times in which it was better to not admit being from Neukölln while nowadays it is one of the most popular neighborhoods of the city. I also have roots in Turkey. I’m Turkish but I’m also German. People tend to forget when you say you’re half-Turkish, then they usually just consider you Turkish. But I’m also German. And you’re studying right now? I’m about to graduate, actually. I’m going to hand in my master thesis in the next few days. But usually I’ve been working in the cultural sector, in communications and as a freelance journalist. My master thesis is about the recent wave of new migrants from Turkey. Highly-skilled migrants and the intellectual outflow of migrants from Turkey. Many young people are leaving at the moment. Berlin is still a major spot for people leaving Turkey. Many young people in Istanbul when they graduate or finish school or quit their job and move here. So there’s a growing community of newer Turkish people coming here. What’s the relationship like between people who came from Turkey decades ago and people who are arriving from Turkey now? It’s very interesting. Somehow, it’s the same culture they’re from but still they’re somehow very different. They’re socialised in different contexts. my impression is there’s not too much interaction between them, and there are some prejudices among the more recent migrants from Turkey about the ones who have lived here for many years. Also the ones who are from here are often skeptical about the new ones. Of course there are going to be some differences when you’re a young person from Istanbul, living a life like a lot of young people do here, compared to people here who belong to guest worker families, who’s parents might come from a relatively traditional background, and of course these kinds of lifestyles clash. 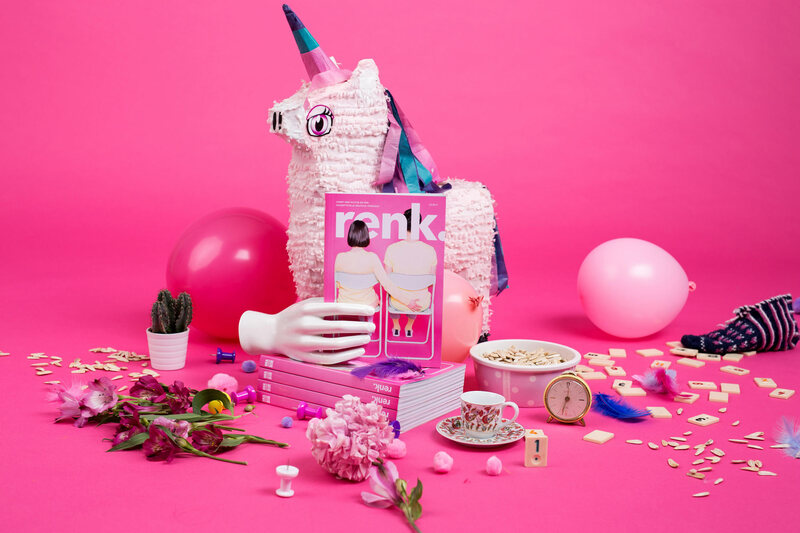 Can you tell us about renk. magazine, where you’re an editor? renk. is the first magazine – online and print magazine – that deals with art, culture in the German-Turkish context. It’s a very diverse team of different people, but somehow everyone has a connection to Turkey, whether they’re German-Turkish, or they’re Turkish people who recently arrived here, or Germans who have lived in Turkey, or have married someone Turkish. The magazine is also about deconstructing stereotypes about German-Turkish people and Turkey in general. We want to play with these stereotypes or somehow turn them around or make fun of them. We’re starting to publish more and more in English, translating our articles from German to reach the people who don’t speak German, but also an international audience. And many people who don’t have any connection to Turkey but are somehow interested, maybe they live here and they have a Turkish neighbour, or are interested in the migration topic. 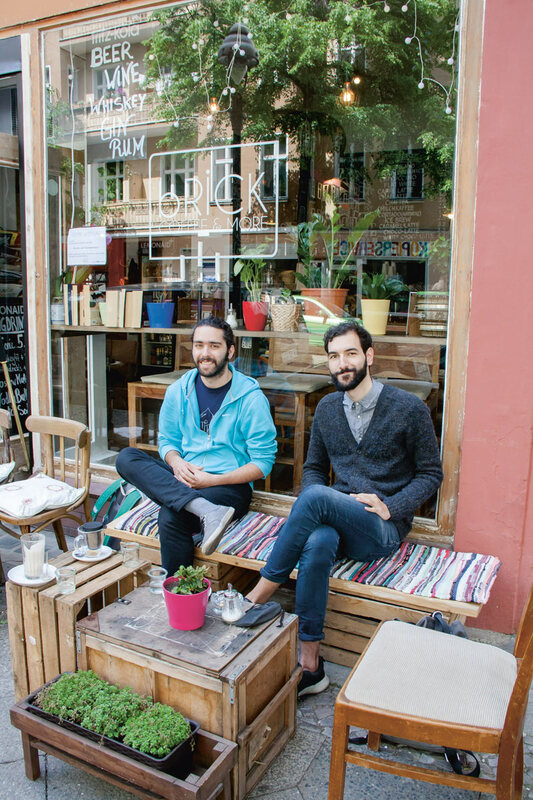 I think people have two stereotypes about Neukölln: that people here are either Turkish or hipsters. I love the way you play with both of those. I don’t think any of these attributes contradict each other. But exactly this is what confuses people and makes them question their own stereotypes. Are you able to vote in the election this year? Yes, I’m able. Like I said, I’m German, so I’m able and I will vote. I’ve already made up my mind who I’m voting for. I can’t understand how people don’t make use of their right to vote. I think it’s quite shocking that soon we might have the AfD in the Bundestag, a party that doesn’t really admit to being right-wing, but that is still openly xenophobic. It’s normal to have parties from different sides of the political spectrum that don’t necessarily represent all of our views. But it’s crazy that we might have a party like this represented in our parliament again. That’s something that concerns me. So everyone who has the right to vote, really needs to make use of it, even if it’s just to stop them from getting in. There are also a lot of people who live in Germany who don’t have the right to vote. Yes, today 10 million or so migrants living in Germany with a citizenship other than a German one, they can’t vote – and that includes many Germans with Turkish backgrounds, or people who came from Turkey. People like Aydin Akin, people who have lived and worked here for decades, but are not able to vote. That’s something I think that should be changed, that people who have lived here for many years should at least be able to participate in local elections. I know for some people in Germany it’s a choice they have to make at a certain age, which passport and citizenship they’re going to keep. Was that ever a choice for you? I’ve never had the Turkish citizenship. I could have taken it, but I’m based here, I spent time in Turkey a lot too, but I didn’t have the intention to stay there forever yet, so currently I don’t need it. Germany is my home, and another citizenship would be useful, Turkish citizenship maybe sometime when I’m there, but I don’t need it at the moment. Is it frustrating to have to keep saying, “I’m German. I live here”? It’s frustrating for me, for sure, but it’s not a contradiction. If you have two citizenships, you can say “yes, I’m fully Turkish and I’m fully German.” It’s possible to be both. But even with a single citizenship I don’t see it as a contradiction that people identify with multiple cultures. I think apart from the legal side, something such as a citizenship matters less and less here. We are all Berliners at the end of the day.